Poker has enjoy something of a revolution in the last decade, thanks to its growing grass roots fan base and increased exposure of the professional poker circuit. 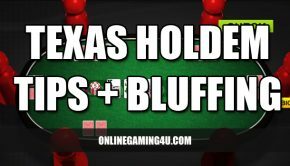 As a result, more and more people are playing poker at home, online and in casinos, in a startingly array of different types and formats. One of the more often underestimated forms is video poker, which is seen as secondary to the real thing and not as lucrative. In fact, if you scratch beneath the surface, it’s obvious that video poker has a lot more to offer, both in terms of gameplay and the odds of winning back more than you put in. Video poker has a number of benefits to players over physical and online pokerroom gambling. Whereas video poker may not be quite the same game, it can be just as rewarding – both in terms of entertainment and the returns it can deliver. Perhaps the most obvious difference between video poker and regular poker is that you’re pitting your wits against a machine, rather than against human opponents. When you play poker, there is a psychological element that factors heavily into the game, and your strategy must be tailored to take this into account when playing if you want to see any success. 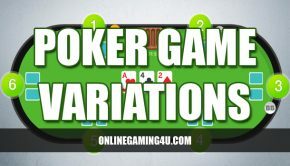 You have the ability to play to a particular player’s strengths and weaknesses, and you can become familiar with opponents’ playing styles even in online poker games. With video poker, none of that factors in to the equation. You are playing poker against a machine which behaves in patterns and has no emotional reaction to the way the game is unfolding. This makes for an altogether different challenge, but in some respects a more two-dimensional challenge because of the lack of the psychological element. Video poker isn’t just beneficial for simplicity’s sake, but also potentially more lucrative and less risky than other forms of gambling. The house edge in video poker tends to range from about -1%-1%. In other words, the set advantage tends to be pretty thinly towards the game, or in best case scenario as much as 1% in your favour. This translates into more frequent winnings over time, and is a tangible advantage for boosting your earnings potential from playing video poker. Compared to the house edge in slot machines, or in other online casino games, video poker actually reflects very positively, making it a worthwhile consideration for those looking for maximum returns. 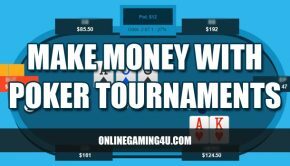 Video poker online has a special appeal that is unique to video poker. The terminal graphics make it look as though you’re playing in Vegas at your favourite casino, and as a novel interpretation of the world’s most popular card game it’s a pretty enjoyable way to play. The entertainment value of playing video poker should also be factored in to your judgements as an advantage over regular poker, and while regular poker will always hold its place in the hearts of millions, video poker can be a refreshing occasional alternative.